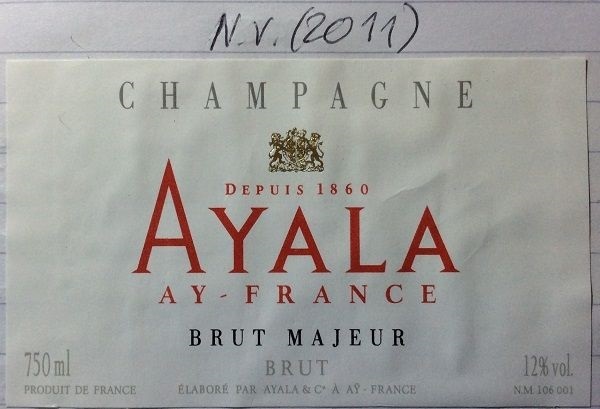 Having had some indifferent experiences with Ayala in the past, it was interesting to hear of the quality improvements under Bollinger, so I got this for our Saturday evening, pre-dinner Booker reception. And this showed very well. A good, tidy, elegant NV that was pretty good value. Pale lemon-yellow, with a fine, persistent bead. Medium intensity, quite delicate nose of cream, some fresh bread, toast and citrus hints. Subtle. The palate was very well integrated – no jagged acidity, but instead a good balance with the dosage and flavour. Fresh, fine and quite delicate. Lemon, light, blanched almond and fresh butter hints. Delicate mousse.